I was inspired to make pencil cases this year after seeing Allison's adorable pencil case for Stephanie but after my son and I got to talking about the trials of handwriting this year and I had to go with some old school cursive. I've been a tad overambitious with the teacher gifts in the past so I was a little worried about doing all that handwork. I had to make 5 of these but they worked up quickly and it was actually really relaxing. It was also fun to practice some of the embroidery stitches I learned from the fabulous Kate. I used a backstitch for the blue lines, a running stitch for the pink lines, and a stem stitch for the writing. The pouches themselves are based on Noodlehead's Gathered Clutch, obviously without gathering the front panel. I loved how easy the zipper installation was for my Neptune version and I know from experience they are the perfect size for holding pencils. Linking up to the fabulous Finish it Up Friday by Crazy Mom Quilts and Sewjo Saturday at My Go-Go Life. Lovely gifts! I'm sure they will appreciate how much work you put into them. They turned out so fabulous! I bet the teachers loved them and will treasure them. And I'm with you, I'm loving the Aurifil 12 weight. 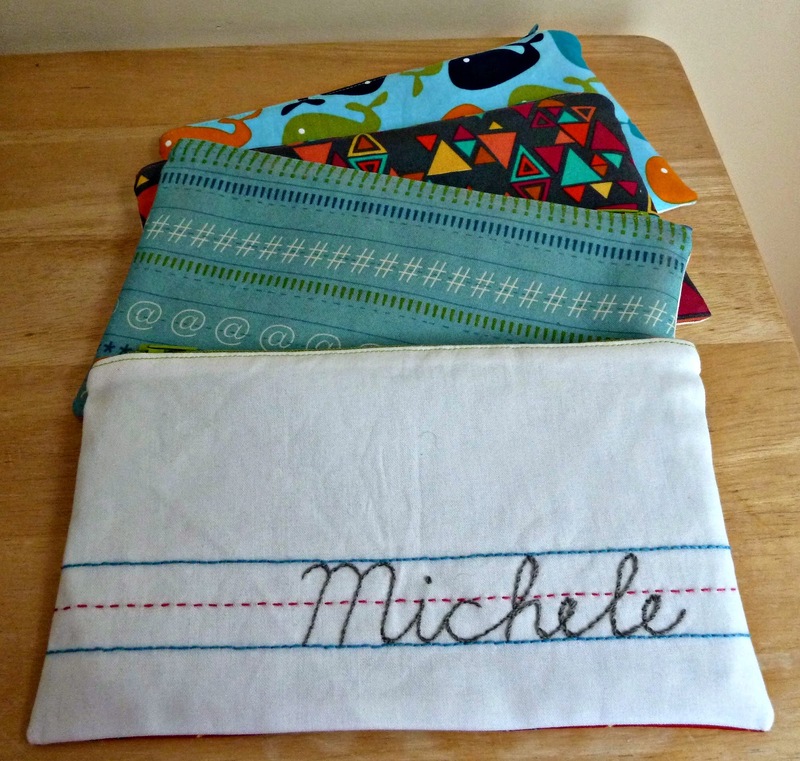 I've used it on both fabric and in my scrapbook pages. It's lovely. I too will be collecting more! Beautiful! 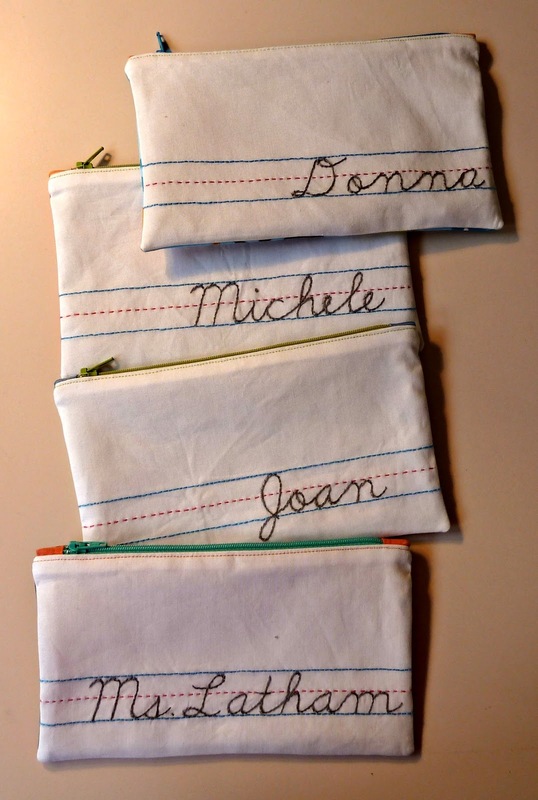 I loved those handwriting charts in elementary school… I think it's a great gift for teachers! Going in my "inspiration file"! Nice stem stitch! I wonder if all the teachers give high fives when they find out they're getting one of your kids in their class? Beautiful! And such a useful gift! These are super cute! Well done. Very lucky teachers! These are beautiful! So creative and unique -- you've set the bar high for other parents when it comes to giving teacher gifts!!! 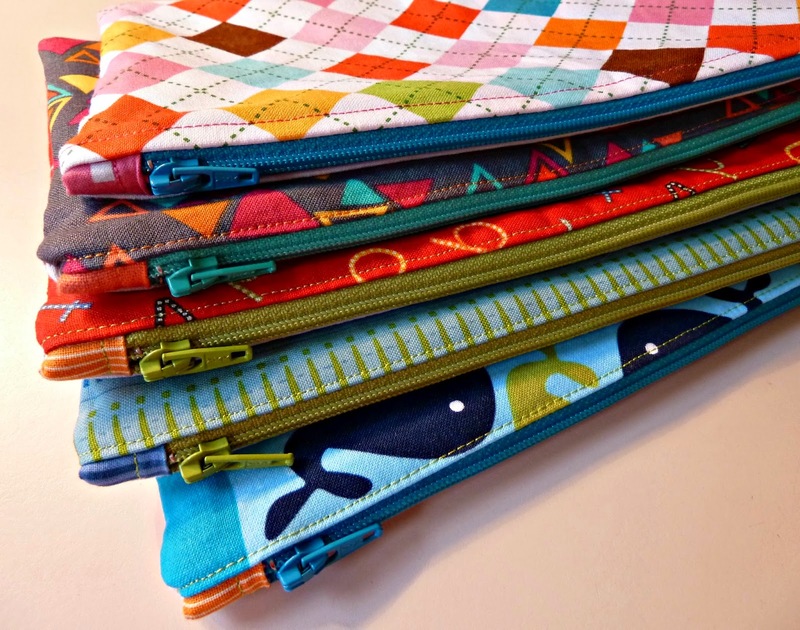 These are lovely pencil pouches. 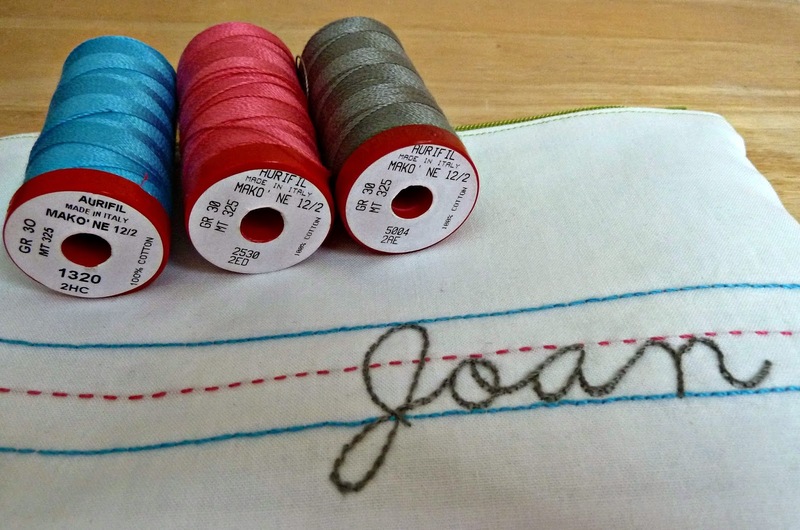 I can wait to try some 12WT Aurifil threads!